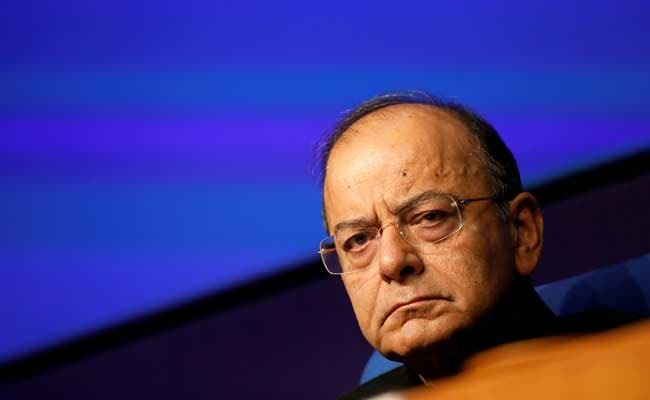 Arun Jaitley has citied data on fiscal deficit, bank credit growth, inflation and current account balance from 1999 to 2017-18 to support his argument. On fiscal deficit, Mr Jaitley said economies should not spend recklessly beyond their means. Union Minister Arun Jaitley today said policies of the UPA to promote growth led to macro-economic instability, as he joins the debate over the back series data indicating better economic performance during the Manmohan Singh government. During the UPA regime, "fiscal discipline was compromised and the banking system was advised to go in for reckless lending notwithstanding the fact that it would eventually put the banks at a risk. And yet when the UPA moved out of power in 2014, the last three year record, even in terms of growth, was less than modest," Mr Jaitley said in a Facebook post. A debate is taking place over the National Statistical Commission (NSC) sub-committee's estimates of GDP growth series with 2011-12 base. As per the back series data on GDP, Indian economy clocked a 10.08 per cent growth rate in 2006-07 under the then Prime Minister Manmohan Singh, the highest since liberalisation of the economy in 1991. "The policies of the UPA to promote growth led to macro instability thus producing a poor quality of growth," Mr Jaitley said. Mr Jaitley has citied data on fiscal deficit, bank credit growth, inflation and current account balance from 1999 to 2017-18 to support his argument. He said 2003-04 witnessed the boom period for the global economy. The result was that global growth picked up. Most economies were doing well and all emerging economies started showing a high growth rate. "This period continued till 2008 when the global crisis started. For India to grow at a high rate during 2003-08 was quite obvious. "The NDA Government led by Shri Atal Bihari Vajpayee went out of office in 2004 leaving behind an 8 per cent plus growth rate. Additionally, in 2004, the Government had the benefit of a continuous incremental reforms from 1991 to 2004," he said. Mr Jaitley further said that the global tailwinds strongly supported growth. Since demand was high, exports were growing, and, therefore, for an emerging economy like India it was a great opportunity. There were no significant domestic reforms carried out during this period, said the minister, who is recuperating after a kideny transplant operation. "However, when this honeymoon ended, growth started slipping down and to ensure that growth is maintained, two significant steps were taken. "Firstly, fiscal discipline was compromised and the banking system was advised to go in for reckless lending notwithstanding the fact that it would eventually put the banks at a risk," he said. And yet when the UPA moved out of power in 2014, the last three year record, even in terms of growth, was less than modest, Mr Jaitley argued. The Current Account Balance was positive under NDA 1, went back to negative under UPA 1 and went all-time highs under UPA 2, he added. Citing data on bank credit growth, Mr Jaitley said the lending during UPA-1 and certain period of UPA-2 was excessively high. "Many of these loans have been given as a part of the reckless lending policy without assessing the bankability of the projects. Unnecessary surplus capacities were created, many of which are still lying unused," he said. The minister further said a huge burden was cast on the banks since unviable projects were not able to pay the banks back, leading to very high NPAs. "By a process of restructuring the NPA, the UPA tried to evergreen the loans and the real health of the banks was swept under the carpet. "It is thus clear that banks became weaker and subsequent to 2012-13, their ability to lend itself declined," said Mr Jaitley. It is only post 2014 that the truth relating to the health of the banks has been brought out and a process of recovery by various methodologies, including IBC, has started, he added. During the period of Mr Jaitley's indisposition, Railways Minister Piyush Goyal has been given the additional charge of the finance ministry. "If they do that, they leave the future generation in debt. In future years instead of spending for growth, the economy would only be servicing the old debt. "It would be noticed that from the period 2008 onwards, when the global boom ended, UPA seriously compromised the fiscal discipline and increased the spending much more than the revenue," the blog said. The fiscal deficit had touched a high of 5.9 per cent of GDP during 2011-12. Since then it came down to 3.5 per cent in 2017-18. Mr Jaitley further said it would thus be seen that in the global context all economies were growing during the boom years, which was not peculiar only to India. "It slowed down after the boom years and thereafter. However, post 2014, when the global economy was in slowdown mode, it was India and India alone which has been the fastest growing economy in the world for the last four years and has consistently overtaken China in the growth rate," he said. Mr Jatiley, 65, was the Union Finance Minister before he went for the kidney transplant operation. He was admitted to the hospital on May 12, and the surgery was performed on May 14.